While surfing the net the other day, I discovered a fascinating fact. 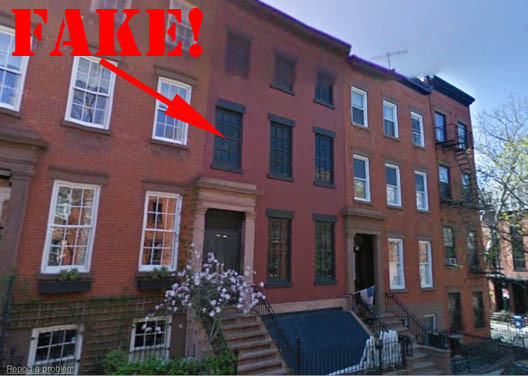 There is a secret subway entrance disguised as a walk-up brownstone in Brooklyn. It is unclear to me exactly why - is it to merely blend in the neighbourhood or is this service entrance meant to be truly secret for security reasons? Regardless of the true reason behind it, I love the fact that one can be walking down a perfectly quiet suburban street and not realize what is hidden behind it. I may have to make a trip out there so see it with my own eyes. That is so awesome! But crazy. Is it an exit only, or also an entrance?